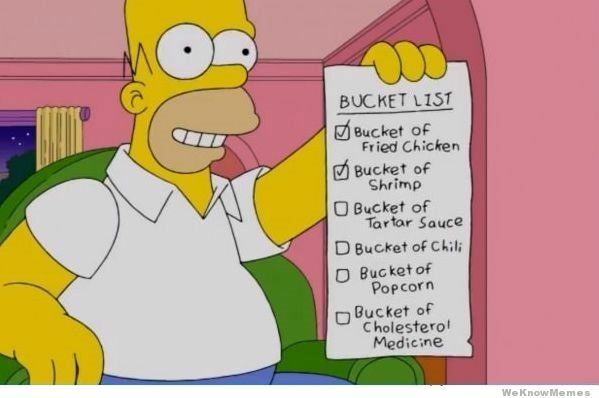 Lists: The Solution to, But Not Cause of, All of Life's Problems. Early applications for colleges are due in just one week! Whether you're among the many students nationwide who are still struggling to figure out their common app essay, or you're applying regular decision and don't even know how to start, read on! Today, Adrienne, one of our top application consultants in Boston shares her favorite technique for breaking free of writers' block. When you’re stuck at any stage of a personal statement for any application—college, b-school, med school, etc.—turn off the computer, pull out a piece of paper, and make a list. Then make another one. There’s no wrong way to make a list, and you can never have too many lists. Your lists can be organized into different topics, but don’t let these headings constrain you: I find that the best brainstorming lists tend to be the ones that go off topic and wind their way into areas you didn’t even know you wanted to explore. Make lists of secret passions, embarrassing anecdotes, weird collections, places you’ve been, people you wish you were, memories you can’t seem to forget. Let your lists be almost like free association: “figure skating in Central Park” might remind you of “figure drawing in Mr. Smith’s house” which might lead you to “treehouse fight in New Hampshire,” “first time I saw the leaves changing colors,” “refrigerator rainbow-colored alphabet magnets on the fridge,” “last piece of Aunt Shirley’s chocolate cake,” “horrible piano duets with Matt the Spitter at the holiday recital,” etc. etc. Write quickly and don’t look backwards to revise your list as you go. Longtime New Yorker writer and essayist extraordinaire John McPhee says that when he was nineteen, he wrote down a long list of topics that interested him. Over fifty years later, he says that about ninety per cent of his many, many essays and books have started from an idea on that original list. The beauty of a list is that it practically spouts ideas for you when you’re convinced the well has run dry. Don’t think as you write: your list doesn’t have to be pretty, and it doesn’t have to be connected to anything, and you can repeat things, and circle back to them, and nothing has to make sense. But after about ten minutes, you’ll have a whole slew of new places to go. Will’s high-school resume was chock-full of extracurriculars—student government president, treasurer of the drama club, cross-country skiing, Future Business Leaders of America, etc. Even though he loved all his activities, when it came time to tackle the personal statement, he didn’t feel like any one of them had provided him with that “eureka” moment for his essay. He went through multiple drafts of the standard leadership anecdotes, and though any of them could have worked, none of them felt like they represented him. Instead, he tried listing all the things he hadn’t done: what did this already very accomplished kid want to try in college that he hadn’t done before? The answer surprised himself: ballet dancing. But the more he thought about it, the more excited he became about the idea of trying ballet, and he ended up writing his essay about this passion he hadn’t quite realized he had before making his list. Kathryn was preparing to apply to med school, but she didn’t feel like anything on her resume made her different from every other med school applicant. She had good, but not great, grades; she’d done hospital rotations, but hadn’t found her true calling; she’d worked in a lab, but she hadn’t coauthored a groundbreaking white paper; she’d volunteered in a clinic down the block one summer, but she hadn’t built one from scratch in Afghanistan. Sifting through them all to find that one perfect golden ticket felt pointless: she knew she wanted to be a doctor, but this was a combination of a lot of small things. So she made a list of everything she’d done that had made her realize she wanted to go to medical school, and she began to build her essay from the ground up: by weaving together and adding each small reason, one by one, she was able to take a profile that seemed generic to her and turn it into a compelling personal narrative. Beth knew that she had a powerful story to tell for her college application: her father had been diagnosed with a degenerative illness a few years ago, which meant that she had had to take on a lot of extra responsibilities for her family, both physically and psychologically. But she didn’t feel comfortable talking about herself in that way: Beth was afraid she’d come across as braggy or self-righteous. Instead of trying to launch directly into the story of her father’s illness and how she’d coped with that, she made a list of lots of personal snapshots of times when she’d felt most like herself and how she’d handled unfamiliar situations. She started the essay with one of these anecdotes and only later opened up into the story of her father’s illness. By making lists of topics she felt more comfortable writing about, she was able to find a way into her essay that felt like herself. These are just a few examples of how making a simple, personal list can help you give your personal statement the kick up the pants it needs. If you're still having trouble, consider giving Cambridge Coaching a call for a free consult. We have college and other admissions consultants available in New York, Boston, and online, and we have the experience and expertise necessary to help you put together a winning application. Give us a call today!